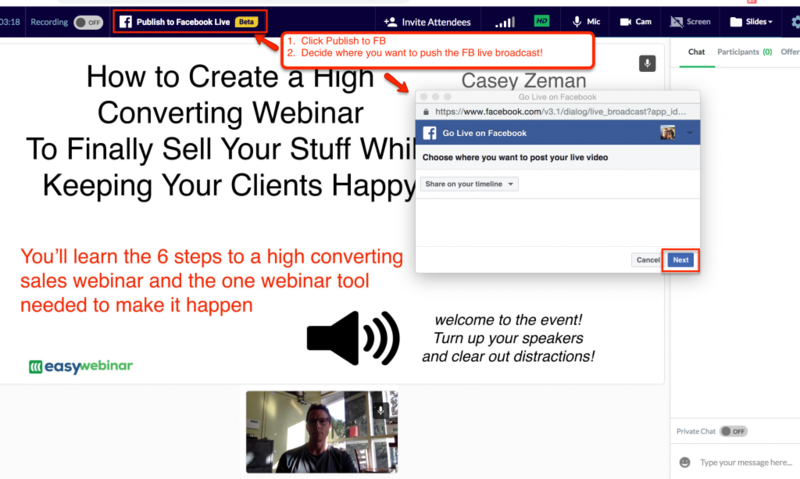 You can go live simultaneously in EasyWebinar live webinars and also Facebook Live. To go live on Facebook you must have a Facebook account and be logged in to your account as well. 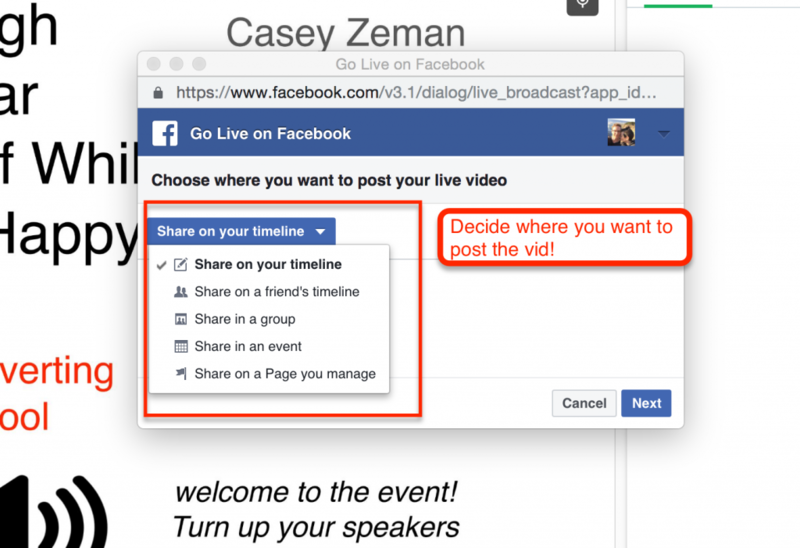 Follow the simple steps below to go live on Facebook in your personal page, your brand page, your group, or event. 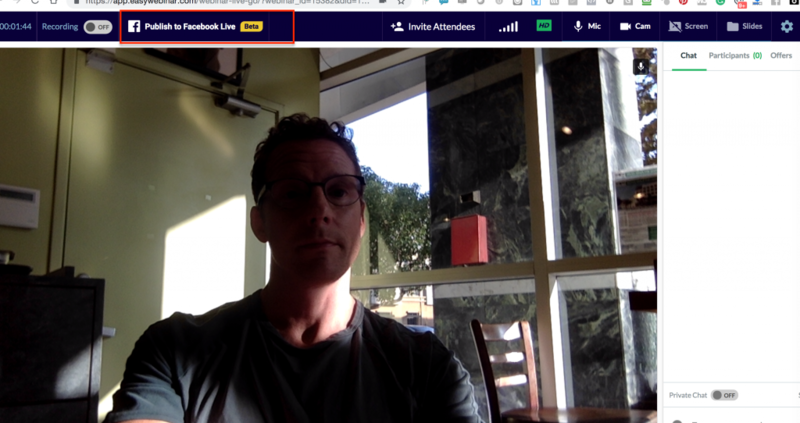 Step #4 - Decide what page, group or timeline you want to share this broadcast. Step #5 - Preview the video experience automatically and add a catchy description of your post on Facebook. 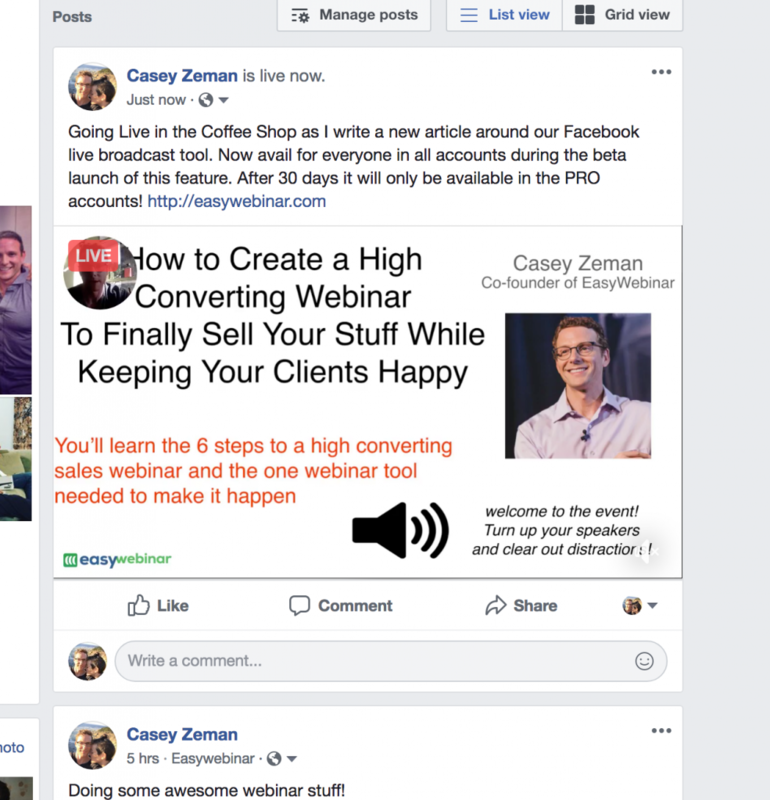 Hint: Go live in FB for say 15 minutes before you get to maybe the super enticing nitty gritty and once you do encourage people to move from Facebook to your webinar by sharing the webinar registration link! This helps you to automatically build your email list. Step #6 - See what it looks like in Facebook live! 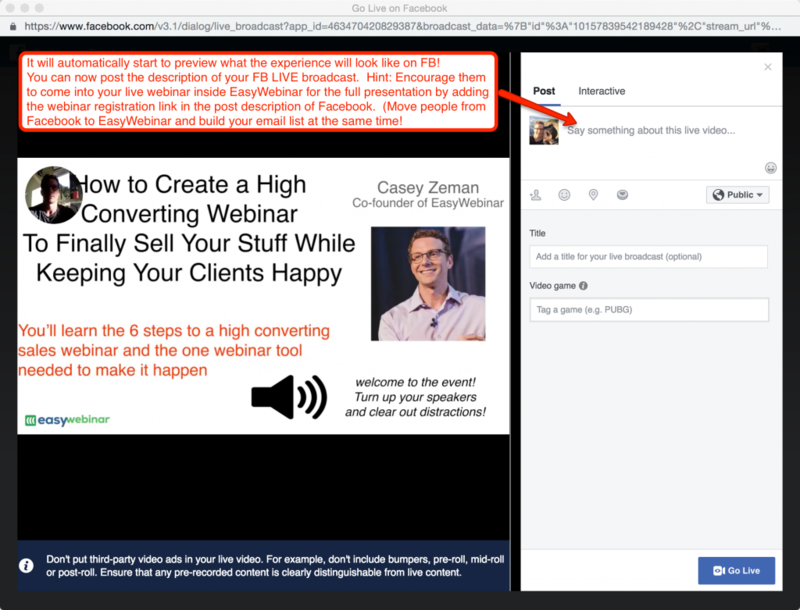 are going to only offer this feature in the PRO and ENTERPRISE accounts of EasyWebinar. So after the beta launch, you will have to upgrade to lock it in!